Red Comrades Save the Galaxy: Reloaded is a remaster of a 1998 point & click adventure game that was rebuilt for Unity and it is now available on Linux & SteamOS too. Nice to see another classic game get revamped and get a Linux release. Never heard of it myself, but reviews on Steam indicate it's being well received. Thanks for pointing it out Vadim. Heh... I somehow vaguely remember this one from back in the days. Must have seen it at a friends place. 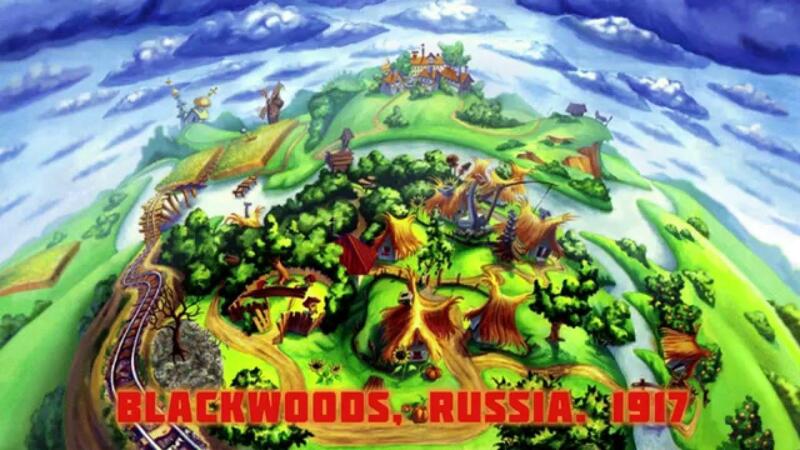 This is a very Russian game, based on Russian jokes, and aimed at Russian-speaking people. If you are not within the target audience, the game will be at least 43% less funny for you. Never saw the game before, but it looks fun. Do they have such music for soundtrack too? I'll probably get it if it will come out DRM-free. I somehow missed this whole franchise (in Russian), though in 1998 I haven't got an IBM PC anyway and was a schoolboy. It's time to revisit the past! I agree, it likely won't be as funny for non-Russians, there are lots of jest-books about the main characters and I'm sure the game contains lots of references to those anecdotes and overall Soviet Russian culture. From what I heard, many puzzles are illogical or just plain absurd. Though this may be a part of fun, we'll see. I hope the rest of the games would be remastered or ported as well. I read the devs made a framework atop of Unity so it'll be a smoother process if they decide to go further.